It's in Georgia on Jekyll Island and is a beach called Driftwood Beach. 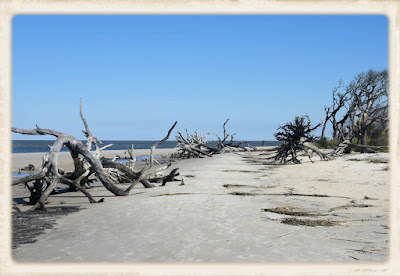 The northern end of Jekyll Island is eroding, has been for many, many years. 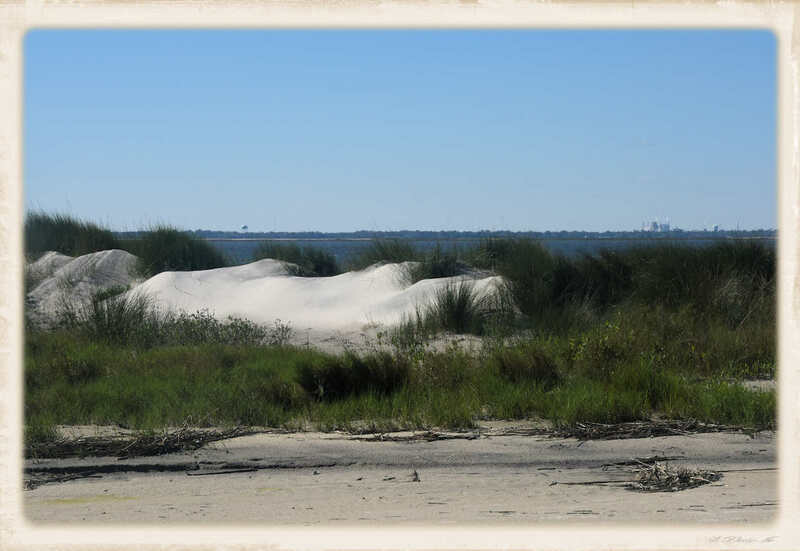 As the island erodes, the beach moves closer inland. 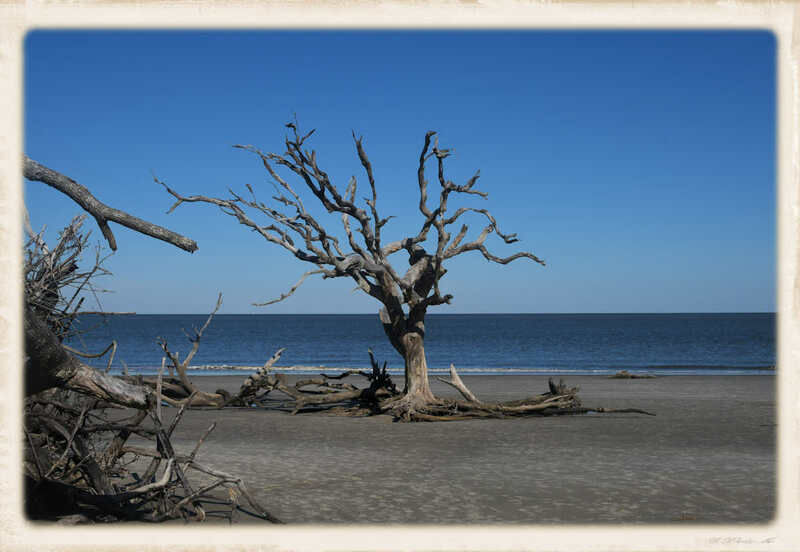 Trees end up on the beach, until they finally end up as driftwood. It is a wonderful photo opportunity, however it's kind of erie seeing these ancient trees that died years ago against the backdrop of the ocean. 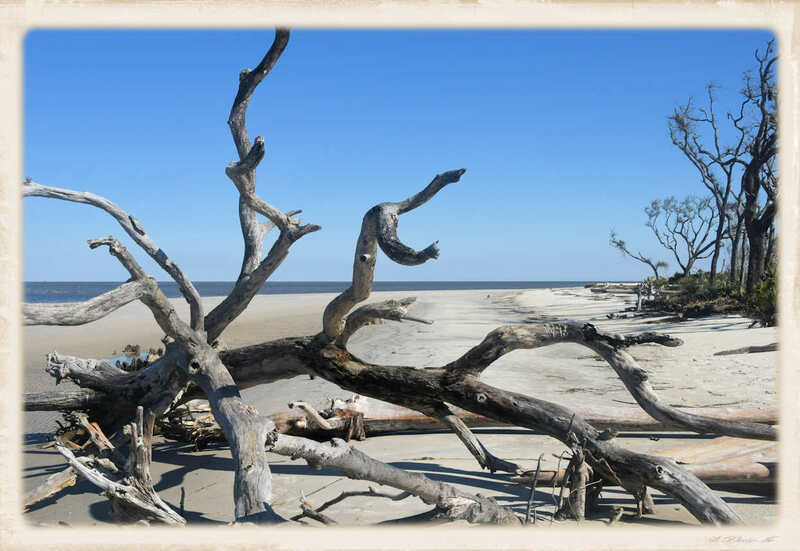 Jekyll Island is a beautiful Island with much to do. 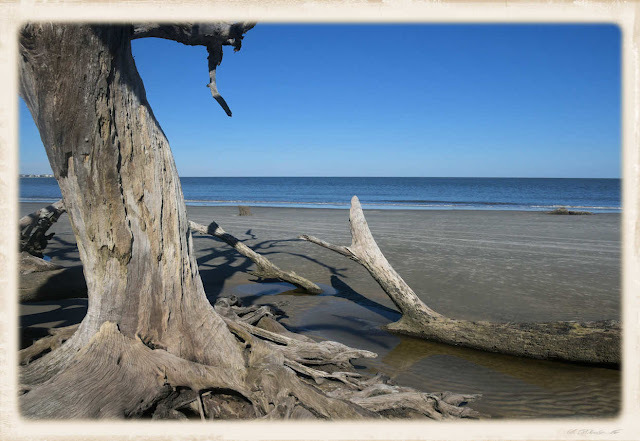 Driftwood Beach is just one special place. There's a Sea Turtle Rehab Center that can be toured. Also, after the 1880s, wealthy folks begin visiting the island during the winter, in fact, at one time as many as 20% of the richest had winter homes on the island. There's a tour of the historic district that's very interesting. 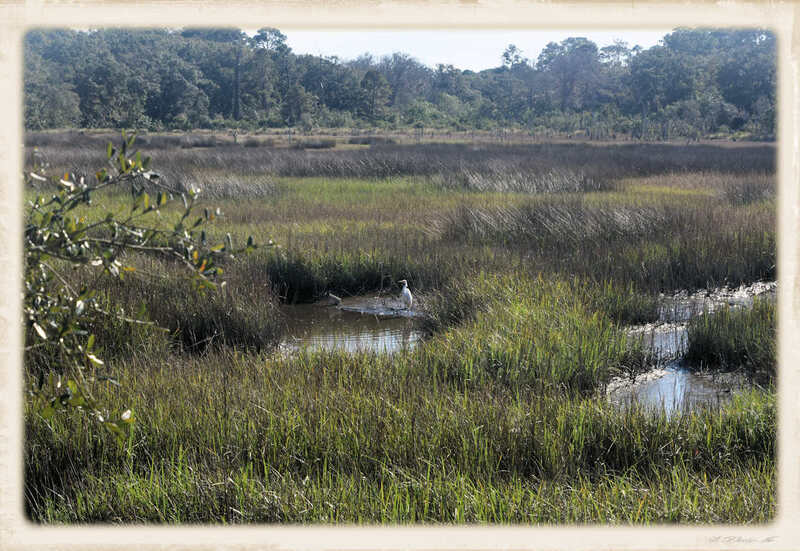 Wildlife is everywhere on the island so bring your camera. 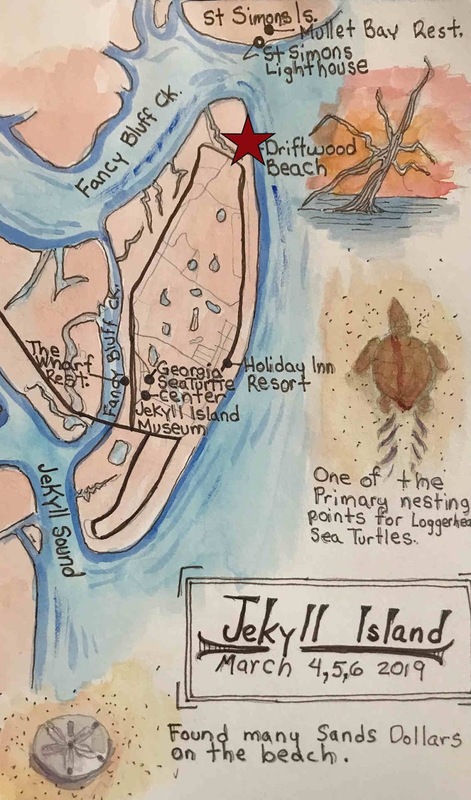 Jekyll Island was so much fun that I created a "Travel Log" for the trip, my first. The island map at the beginning of this blog, is the actually beginning of the travel log page. I found that the travel log is a great way to document my travels. 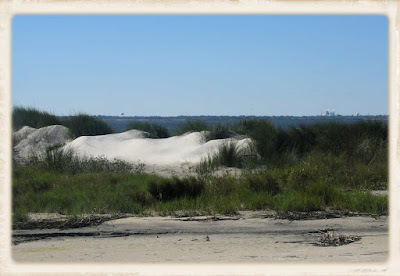 I will blog about my travel log at a later time. Paddle over to my website, LeoLakes.com. I paint beautiful lake, river and bay decor maps. Folks are discovering that these decor maps are wonderfully unique gifts that become family heirlooms. Oh yeah, I hide things in the lake waters, such as a tiny mermaid/fish. Folks love to search for them. I call my maps, treasured maps because most folks have that special body of water that they treasure. My treasured maps make a great gifts for the fisherman, lake lover, or Lake house. As you can see, my maps make a great gift. 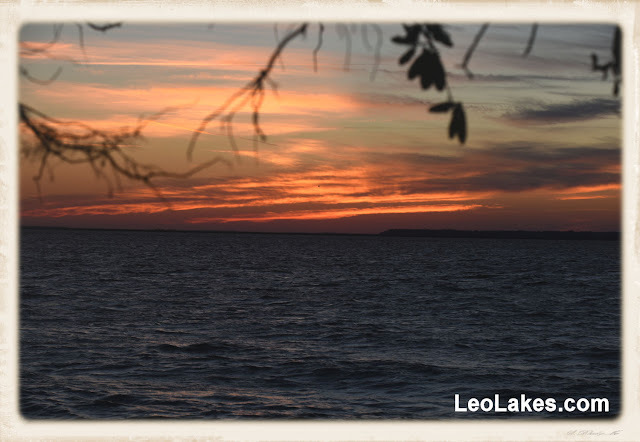 Click here www.LeoLakes.com for more information. Just remember: "Life is short, get away from the big screen and get on a big stream". Looks to me like you scored. Nice place.